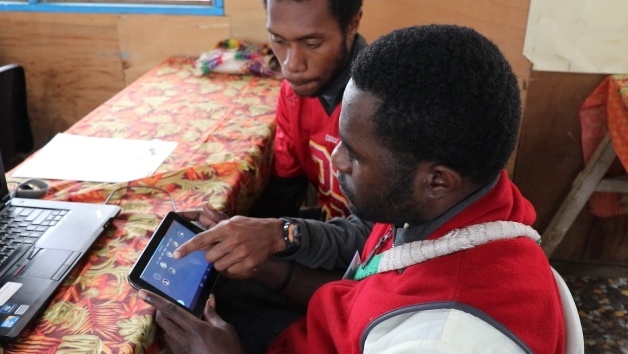 We had our CRMF team teach Technology for Ministry training workshop for Every Home for Christ (EHC) at their Papua New Guinean headquarters in Mount Hagen, Western Highlands Province. This workshop trains church leaders and ministry staff how to use their mobile phones within their ministry. 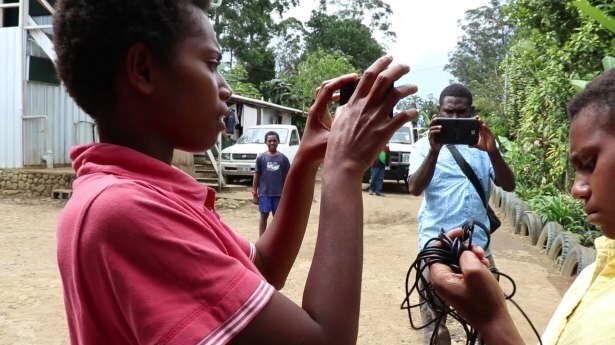 The most accessible piece of technology for most Papua New Guineans, the mobile phone’s multiple functions allows it to become a powerful tool for God, enabling ministry workers to create and share Christian content and media, as well as providing good communication within churches and organizations and with those they are reaching. Every Home for Christ is an international ministry present all across the world, striving to reach every household with the Good News. 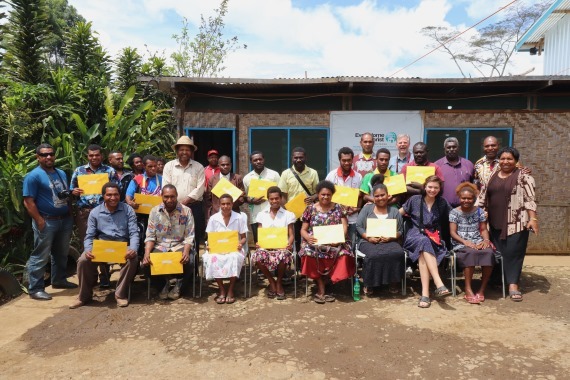 Its Papua New Guinean branch, entirely national led, sends out its young, unpaid evangelists across the country after completing a short six-month Discipleship Training School (DTS). They hike even into the most remote villages to make sure the gospel is shared with each community and home. 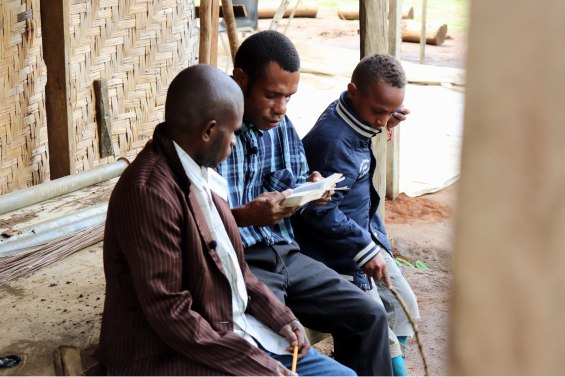 Depending entirely on God’s provision and the hospitality of the communities, and churches that they visit, these passionate and dedicated PNG missionaries operate much as the early New Testament missionaries did. 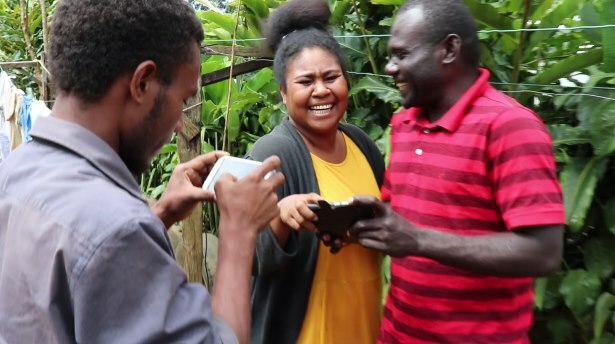 “What the staff and students received from the training has really opened up our understanding and knowledge in using smartphones to minister to others.” – Paul Pora Kiap, Discipleship Trainer at Every Home For Christ. 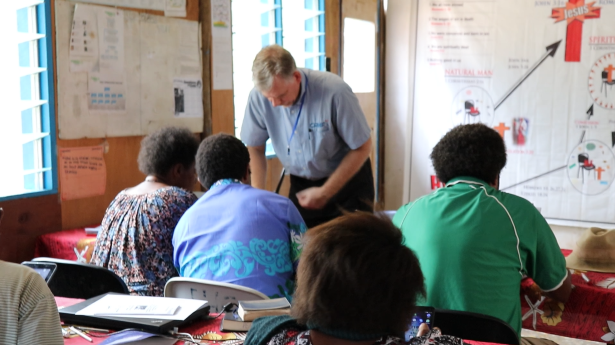 This workshop, the third CRMF has held with Every Home For Christ (EHC), was given to a new class of missionaries just beginning their DTS in Hagen, as well as a few pastors and missionaries already working within EHC. 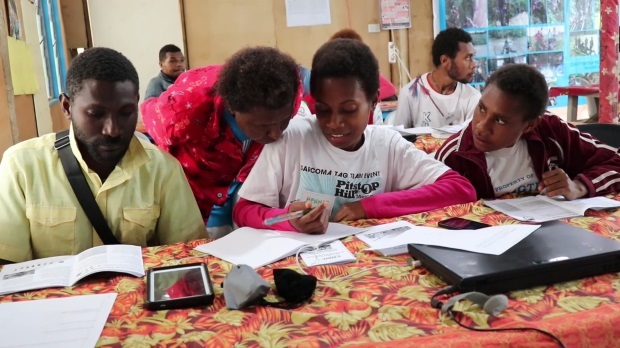 Mostly youths in their twenties, these young people came from all over PNG, from directly in Hagen to Kavieng in the islands to remote villages in the Sepik. Though with different backgrounds, the students could unite round the common cause that had drawn them to EHC: their burdened hearts to share the Lord. “I’ve really enjoyed Tech for Min, I believe what CRMF is doing is needful because we live in an era and time that uses technology and CRMF is encouraging and helping churches use technology to minister to others.” – Peter Everest Kiap, a supporter of Every Home for Christ. 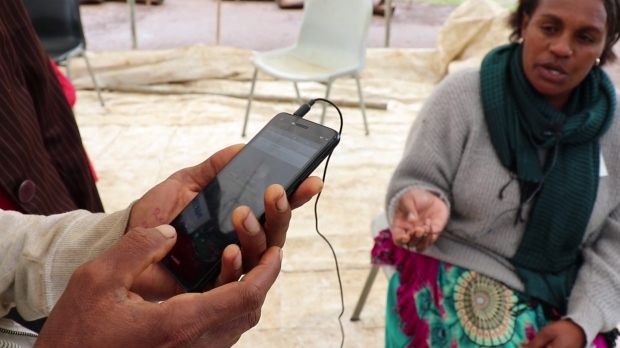 “Working in the administration area, I’ve now learnt about apps that could help us in create ministry reports and financial reports.” – Ruth Kavi, a Student at Every Home for Christ. The students possessed varying familiarity with technology. Some already owned and used smartphones regularly— for others, this was their first time handling one. 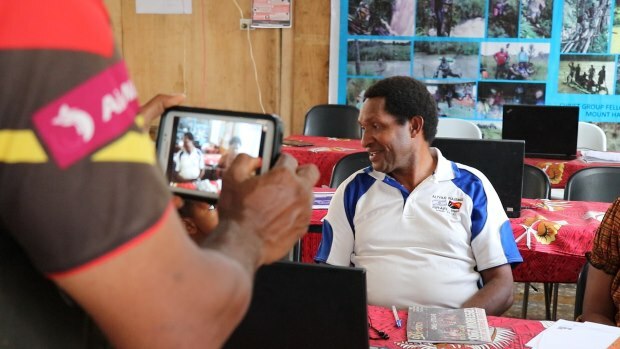 Over the course of the week, the CRMF trainers taught them from the basics up how to create and share audio and video media, provided them with useful Bible and ministry apps, and helped them to brainstorm how to use tools such as WhatsApp within their outreaches. “The knowledge we’ve received in Tech for Min has given us ideas in using the apps and smartphone to help our ministry and churches. 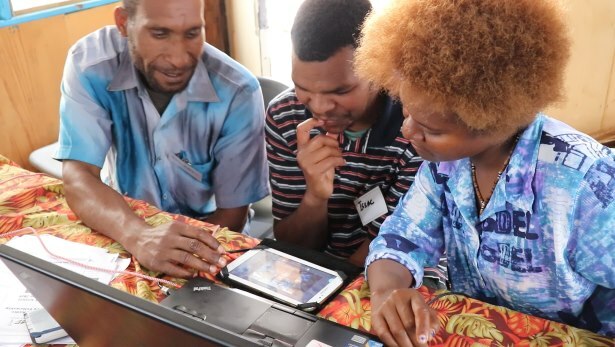 We also would love to tech other churches that we’ve come across, so that they too would be able to help their ministries.” – Ruth Kavi, a Student at Every Home for Christ. By the end of the week, all the students had gained practical knowledge in using smartphones or tablets and had produced short videos with discipline or evangelistic messages.